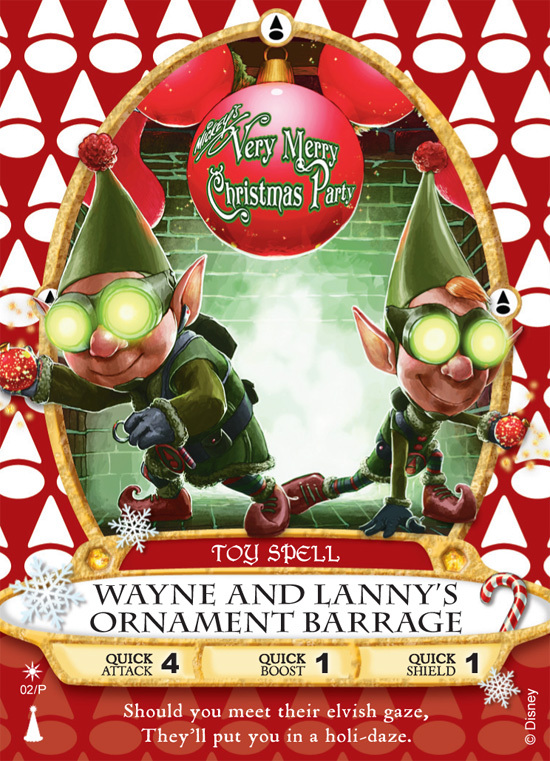 Wayne And Lanny’s Ornament Barrage 11/7/12 | Sorcerers Of The Magic Kingdom: The Blog! This entry was posted in News/Rumors and tagged 61-70, Booster Packs, disney, Facebook Groups, hints for sorcerers of the magic kingdom, Limited Edition, Master Sorcerer, merchandise, Mickey's Very Merry Christmas Party, MVMCP, Mystery, Pins, power up t shirts, Prep and Landing, Sorcerers of the Magic Kingdom, sorcerers of the magic kingdom card combos, sorcerers of the magic kingdom combos, SOTMK, sotmk tshirts, spell cards, Trading Groups, Walt Disney World, WDW by sotmkblog. Bookmark the permalink. We are attending December 1st and 2nd. Halloween was so much fun. I cant wait for Christmas!